Cocaine Treatment Programs: Do They Really Work? Home / Drug Abuse / Cocaine Treatment Programs: Do They Really Work? Cocaine treatment programs can be found in many varieties, from Narcotics Anonymous and other outpatient programs to those which involve residential treatment and a number of different approaches. Many clients who undergo cocaine treatment programs at a typical rehab center or outpatient clinic may see short term benefits, but before long the relapse signs start to show and the drug is used again. This leads to the belief that cocaine treatment programs do not actually work, and many consider them a waste of time and money. This is not true all of the time though, and if the right residential program is chosen then you can see results, and have a drug free future. For cocaine treatment programs to work there are a number of components which must be involved in the treatment. Group therapy alone is not going to give you a complete recovery, and effective treatment can be expensive because of the professional costs involved. 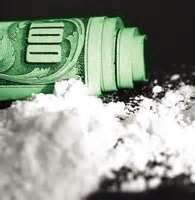 Most cocaine treatment programs are state or charity operated, which means a very small budget and staff. A private residential program may have a larger budget, so that permanent results are achieved from the cocaine treatment programs offered. 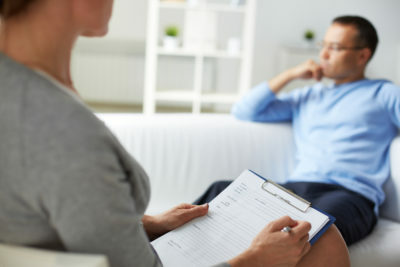 One on one counseling is essential, so that you can work through your unique addiction issues and recover fully. Valiant Recovery offers cocaine treatment programs designed to work, and to eliminate your cocaine addiction once and for all. Classes in stress management, anger management, spiritual and individual counseling, and many other components combine to give you a permanent recovery. The cost for cocaine treatment programs can vary, and so can the number of patients treated at any one time. Valiant Recovery is a luxury upscale treatment facility, with a small number of clients and a larger professional staff as well, as upscale surroundings. The treatment cost is higher than the usual rehabs, because of the costs involved with individual counseling and upscale treatment, but the results are just what you are searching for. Finding the right cocaine treatment programs, ones that are effective and offer addiction treatment that works, does not have to be very difficult. If you can afford the cost of treatment at Valiant Recovery then it is possible to beat your addiction once and for all. While this treatment does not come cheap, the results that you need and want can be priceless. Aren’t you worth the best and most successful cocaine treatment programs that money can buy? How much is months or years of your life worth from relapsing repeatedly? If you have a problem with cocaine, or any other addiction issue, then Valiant Recovery can help you get back on your feet.